It's that time of year again! 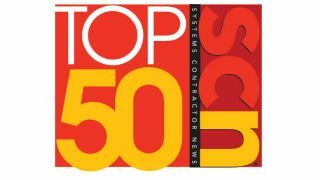 Enter today for a chance to be listed among the Top 50 Systems Integrators in the commercial AV industry. The deadline for entry has been extended to October 25. Simply follow the survey link below, complete the necessary information, and you'll be on your way to being recognized among the top companies in commercial AV. The survey is open until October 25, so enter today to make sure you're among the top companies in the industry!